ShapeScale is a weight scale that digitizes your body in 3D, so you can see exactly how your body is changing over time. It creates a photo-realistic 3D model of you that shows exactly where you have been gaining muscles or losing fat. Partnered with our app, you can track which exercises and diets are working for you and optimize your fitness. Engineer and Designer. Involved in the development of 15+ IoT products. Previously head of Capsule.co, co-founder of Wave Music, Doll Memories and AgoraBee. Co-organizer of chi.camp and EPFL alumni. Hardware Entrepreneur. Specializes in business development, digital marketing, and product management. Previously Founder and CEO of Phonejoy, Account Lead at MWI, and CMO at Ambi Labs. The ability to see yourself in photorealistic 3D gives us a peek at how other people see us. It’s like a better mirror that shows me a really good and unbiased picture of myself. It’s much more powerful than just getting measurements. Because measurements alone do not tell you whether you feel better or worse. ShapeScale has a chance to completely change the way we exercise, eat and also dress. My favorite early stage startup. Outstanding Founders! Gimme those abs! I decided to become an early backer of the ShapeScale team because they have what it takes to be successful. They eat their own "dog food". Alex and Martin are extremely hardworking, focussed to on the task at hand, passionate about their product and understand the market in which they operate. Over the years they have kept on exceeding their and also my own expectations. Alex and Martin are perfectionists with a clear vision of the future of fitness and technology. I learnt a lot working alongside them at accelerator programme Founder Institute. Having them as clients of my digital agency Clarity was a challenging and inspiring experience. Luke Iseman is Director of Hardware at Y Combinator. A full service early-stage venture capital firm focused on helping startups and talented founders from around the world build businesses that apply and commercialise innovation. AIA helps companies give life to the next generation of digital healthcare. Co-founder of tech startup Surround App. Mentor, fundraiser, angel investor and advisor. Can Y Combinator find its next 'unicorn' in a hardware startup? Alexandre Wayenberg and Martin Kessler, founders of ShapeScale, a startup making a connected weight scale that was in Y Combinator’s latest graduating class, said they considered the program’s most valuable asset to be its network of alumni and investors. As experienced hardware entrepreneurs who have spent time in China’s manufacturing hubs, they said they didn’t need Y Combinator to have deep technical expertise in hardware. 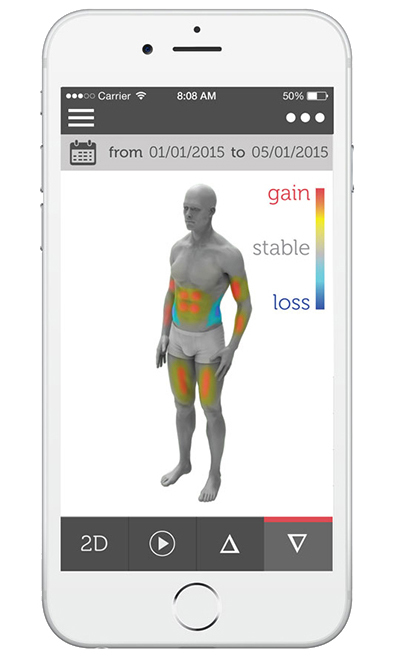 As a way to measure fitness progression, ShapeScale scans your entire body and looks for changes in your shape. It gives an overview of your body shape, weight, body fat, regional muscle growth and fat loss, which seems a tad daunting, but is meant to allow you to set goals and see your progress. 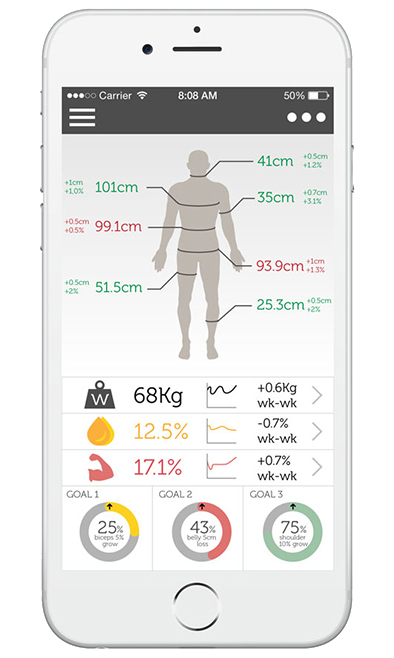 The scale creates a 3D avatar of your body and you can view the insights via an app. Y Combinator president Sam Altman insists that Y Combinator’s investment thesis hasn’t fundamentally changed. “Anything that could be a $10 billion-plus business, we’ll fund.” [...] “No one wanted to put money into hardware” Tan says. “But now these startups do crowdfunding and show investors, ‘Yeah, there’s a market. '” If these startups can dream up affordable gadgets everyone wants, or expensive equipment lots of businesses need, they could find the big exits that pay back YC’s investments. The rotating ShapeScale generates a VR avatar of you to track your fitness. ShapeScale's device creates a picture of your body and its measurements when you step on it, looking a bit like what the TSA sees when you stand in front of a full body scanner. If that doesn't creep you out, then you can save that image to ShapeScale's online dashboard and mobile app to track how your body changes over time. Shapescale works like most scales do: just step on. But the similarities end there. Shapescale scans your body 360 degrees and creates a 3D rendering which you can access via the app. You'll be able to see exactly how your body is developing in different visualizations and get personalized fitness tips. See your measurements, weight, muscle and fat percentage all in one place. See where you have been losing fat and gaining muscles at a single glance. Set goals and see how you're progressing—even if you can't see it in the mirror. Create timelapse videos that you can share with your friends. When we announced the Shapescale on Facebook we didn't think it'd go viral, but in a single day we had 1 million views. People everywhere were chiming in about how psyched they were for the Shapescale and now we already have 40,000 customers in the pipeline. There are billions of people who exercise and go on diets because they want to stay healthy or transform the way they look. But there’s no way right now to truly see the changes as they’re happening. 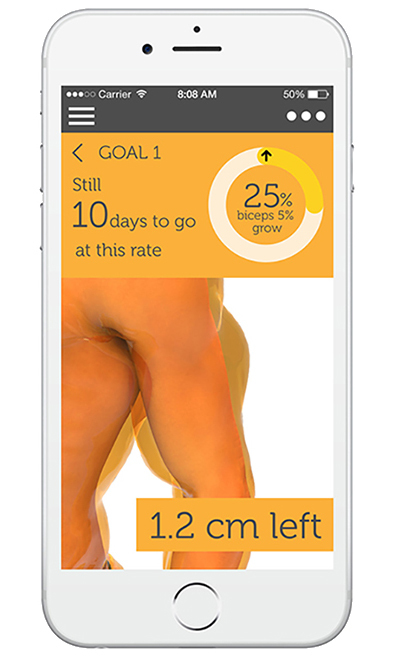 ShapeScale is solving that problem by partnering our 3D scale with an app that shows you how your body is developing at a glance. We're helping you understand your body and showing you the changes you've been working for—even if the mirror doesn't. What are you guys building? ShapeScale is a weight scale that digitizes your body in three dimensions, so you can see exactly how your body shape is changing over time. You step on the scale, and it has a robotic arm that rotates around your body. It creates a photo-realistic 3D model of you. With that, you can see exactly where you have been gaining muscles or losing fat. The scale can see exactly how your body shape is changing over time. We want to partner this scale with an app that can show you where you’ve been and where you’re at, and then give you the best advice about what you need to do, on the diet or the exercising side, to be able to reach the appearance that you aspire to. What’s the problem that you’re solving for your customers? We focus on solving three major problems. The first is that there are billions of people that exercise and go on diets because they want either to make some change in their appearance. But, there’s no way right now to really see all the changes as they’re happening. You can’t see how your progress from last year or even last week. ShapeScale is going to solve that problem. The second problem is that current scales only tell you your weight, but lean muscle will weigh more than fat. If you’re working out your core to improve your waistline, and you’re working out and eating right and seeing the difference in your body, you might still see the number on the scale go up because you’re replacing that fat with the heavier lean muscle mass. We provide a different metric for measuring progress, one that looks past the number on the scale.Ultimately, though, we want to help people achieve the appearance they aspire to. A lot of people want to make some specific part of their body more fit, but they don’t know when exercise will be better than dieting, or when changing their diet could have a huge impact. We can see those changes faster than anyone, so we can give this advice and guide people. What is ShapeScale's MSRP and Launch Date? We haven't launched ShapeScale yet, but will launch a pre-order soon. Our product pricing is not 100% set in stone yet, as we are still working with our supply-chain partners and running internal tests on price elasticity. We will also offer a lower launch price to reward early supporters and gain additional momentum early on. The launch price will likely be somewhere $199 and $499 ShapeScale will start shipping in 2017 with the exact date to be announced during our launch. How does a 3D scan look like? We cannot disclose too much at this stage. However please have a look at a sample scan at http://shpe.us/alexscan of one of our company's founder, Alex. We are launching our pre-order campaign in only a few weeks time. Based on our experience and current email subscriber growth, we are confident that we will generate a lot of traction this summer. We are looking to raise additional funding prior to the campaign to move faster and further increase our reach. We plan to do so through ROI-positive ads-spent and higher quality marketing assets such as promo clips, professional photographs, and more. At the end of this year, we will raise at a much higher valuation from institutional investors. 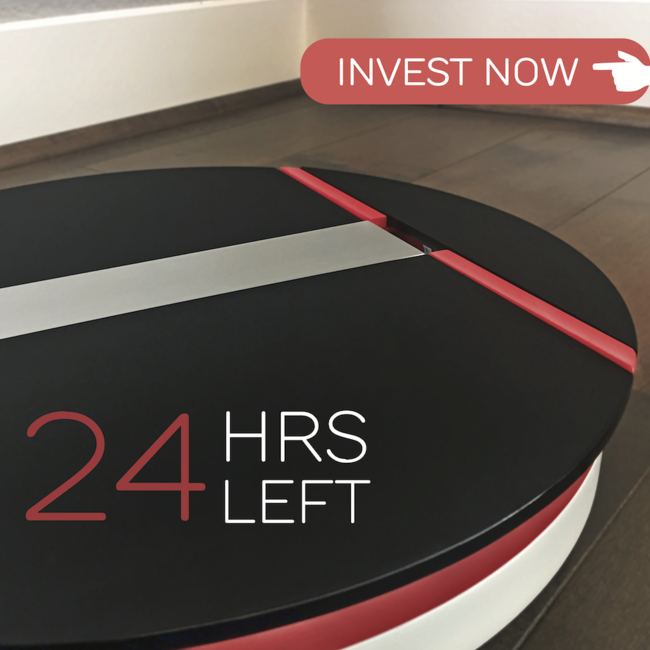 Joining us now as an investor, will be the last chance for non-accredited investors to become part of our journey. We will sell ShapeScale mostly through online channels during our first year followed by specialized retail channels in 2017. ShapeScale comes with a freemium app. At its free tier users will be able to set their goals and monitor their progress. At the premium level users will receive tailor-made exercise and nutrition plans among other features. Beyond that we believe there will be a multitude of other opportunities such as paid product placements, e-commerce (tailor-made clothes, virtual dressing rooms, etc) and VR (3D avatars for online experiences) solutions. We have also been contacted by several insurance so they can use the information for their underwriting. Today there is no way of accurately tracking how your appearance and body changes over time. We have to rely on archaic numbers such as weight or body fat percentages which are often misleading and discouraging. A mirror or photo of ourselves is not much better. This makes it hard to understand whether we are getting in a better shape or are staying in shape. Being able to better understand how our body changes and our fitness progresses allows us to remain motivated. We believe motivation and lack of knowledge what exercises and what diet works is one of the key reasons why people struggle to stay or get in shape. With ShapeScale we will finally make sense of what works and what doesn't. How do you acquire customers for your product launch? Ahead of our launch we cannot disclose too much. However, our core strategy is to build a strong audience that is interested in our product. 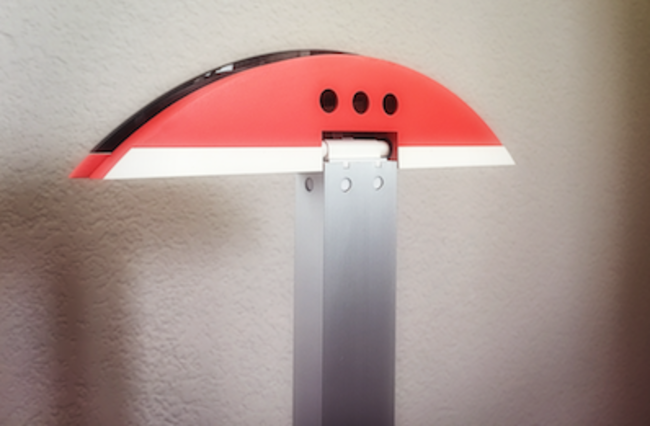 So far we have acquired over 40,000 sign ups of people waiting to pre-order a ShapeScale. We also have a strong social media presence with over 35,000 Facebook fans and over 5,000 followers on Twitter. This audience is highly qualified as they have only signed up for the waitlist after having watched our ShapeScale teaser (see http://shpe.us/thisviralvid to read some of their reactions). Beyond email and social media marketing, we believe that PR will be a great driver of initial buzz for our launch. We are working with the PR agency that has worked with the Coolest Cooler (raised over $13m in pre-order sales) and the video production company that has produced the promotional video for the renowned Lily Camera. We have a few other tricks up our sleeves but cannot reveal too much at this stage due to the public nature of this crowdfunding campaign. Can you expand on your email sign ups? We have put out this video that was just a quick teaser animation of how the product would work, and we showed that video to a very specific audience of fitness enthusiasts. In just one day, we received over 1 million views. We were really taken aback by the positive response we have received by millions of people across the world. A lot of these eyeballs have been converted into actual sign ups on our website to hear about our product launch. Due to the popularity of ShapeScale, our acquisition cost for emails of potential buyers is tremendously low at less than $1. Our cost is so low because our product is highly relevant to our audience plus it gets shared so often that our advertising cost is lower than is typically the case. Usually, it costs a company anywhere between $50-$150 to spend on ads to achieve one sale at a higher level price point. If we meet our own estimates of a 5% conversion rate from email to pre-order, then our acquisition cost would be at less than $20 per customer, which would be incredibly cheap for us. We’ve launched three other crowdfunding campaigns and consulted on a few others, and what startups often get wrong is they rely too heavily just on PR. But PR tends to be just a big peak early on in the first week, when you’ll get a lot of coverage. That coverage though might not even be highly qualified. Our email sign up base however is highly qualified because they’ve seen our product through the teaser video, and they still want to sign up to hear more about the product. Nearly one-third of U.S. smartphone owners—about 46 million unique users—accessed apps in the fitness and health category in January 2014, an 18 percent increase in users compared with the same month a year earlier (Source: Nielsen). The annual smart wearable healthcare market volume will grow from $2 billion in 2014 to $41 billion in 2020, a compound annual growth rate of 65 percent (Source: CDW Healthcare). Over 80 percent of consumers said an important benefit of wearable tech is its potential to make healthcare more convenient (Source: PwC). The wearable band market grew by 684% on a worldwide basis in the first half of 2014 compared with the first half of 2013 (Source: Canalys). Today, 1 in 5 Americans own some type of wearable technology (Source: PwC). It's a trend that is only set to increase over time. ShapeScale won't capture the entire wearable market from the get-go, but it's a good starting point for us, as consumers of fitness trackers and smartwatches are already conscious about improving their health. We believe that in the grand scheme of things we will exceed the reach of the wearable market. ShapeScale and its successor products stand to replace every scale and mirror across households in the developed world and emerging countries alike. What future trend, technology or market conditions make it the right time to build this company? How does your product tap into this trend? 3D scanning technology has come down in price and will continue to fall as it’s being adopted across mobile devices. Measuring our fitness and diet has become mainstream in recent years thanks to Fitbit, Garmin and Withings. The market is ready to be disrupted by a second wave of innovators. Obesity and spending towards health and fitness are both on the rise. People are willing to spend money to become healthy. People care more about the way they look than ever before. A lot of developing countries will join this trend in the future making it a long term growing opportunity. Who are your customers now? Who will they be in three years? Our customers right now are segmented in three main groups: Fitness Buffs (the "Body Builder", "Mr. Abercrombie", the "Bootcamp Girl") Quantified Self Audience (the "Fit Geek") Mainstream Audience (the "Dad Bod", the "Mum") We believe our early adopters lie in the first and second group of people that already have a decent understanding about fitness and have made it part of their lifestyle. They appreciate the additional data and action they can take on further shaping their appearance. We will have some reach with the mainstream audience. They will appreciate ShapeScale's better and shorter feedback loop but even more so the ability of finally making sense of what diet and exercises work best for them. The fitness and diet advice part of ShapeScale will be a huge draw for them. Due to our higher pricing we will not be able to completely reach the mainstream audience from the get-go, but we consider them our main audience three years from now. What kind of response have you seen from potential customers so far? We’re seeing people get so excited about the product, sending the video to their friends saying, “We need this.” We wanted to do something for these people who are already so excited, so we created a VIP program where people will be able to order the product 48 hours before everyone else and see the product first. There’s actually a hundred people who have paid $10 for that privilege, and that’s before they’ve even been able to see the whole thing and how it works and how much it’s going to cost them. They just paid money to get ahead in the line and they don’t even know what they’re waiting for. They just trust that it’s going to be cool enough to be worth that. We’ve worked on many different products, but have never seen this level of excitement. People are going crazy, tagging all their friends, like, "we need to invest in this"; "this is the product we need"; "I need to buy it now"; "How can I find out where I can buy it?". There are countless of these reactions. Have a look for yourself on http://shpe.us/thisviralvid. Why will our customers keep coming back? ShapeScale will be the best fitness tracker and platform, because we'll be the only one that will be able to make sense of what diet and exercise works for you. This gives us the best ability to provide our users with targeted advice of how to achieve the body of their dreams. Over the long haul, our product will improve with more data, as we'll be able to measure what methods work best for which body types. There are a number of competitors. Our biggest competitor based on surveying thousands of potential users, is the mirror. To-date the mirror and traditional before and after photos have been showing everyday people the best results on their progress in fitness or general change in appearance. On the high-end spectrum -- relevant to mostly fitness buffs -- there are a number of other methods to measure fitness progress, namely: - Girth Measurements- Skinfold Measurements- DXA Scans (bone density measurements using expensive equipment)- Hydrostatic Weighing All of these methods tend to be tedious and often prone to human error. More importantly none of these offer visual aids of where exactly the body has been changing. There are also some more recent competitors such as "Naked Labs" and "Fit 3D" that focus on their user's body shape exclusively. ShapeScale captures a photorealistic 3D model instead of a just a 3D model. We not only create a more accurate and realistic model of our users, but also provide them with nutrition and exercise advice to achieve their health goals. 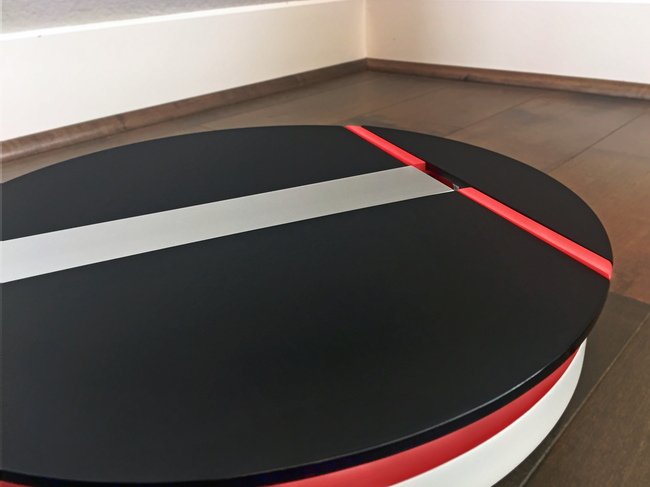 ShapeScale is able to do so because of its unique rotating mechanism that allows for close proximity and high precision of the 3D sensor. We have pending intellectual property that will make our company value more compelling in the long run. How do you see yourself comparing from a price perspective to your competitors? ShapeScale will be priced extremely competitively against our direct competition. We are able to do so by leveraging a single 3D sensor approach, lower logistics costs and savings in components thanks to our heavy reliance on cloud computing.Our solution will also be cheaper than taking personal training lessons or similar.ShapeScale will initially be higher priced than conventional scales, mirrors, and similar. There is just too much technology under our hood to compete with such at this stage. We believe however that ShapeScale’s manifold benefits will outweigh the downside of paying more for our product. We are making ShapeScale's sensors and algorithms as accurate as possible. Right now ShapeScale makes precise distance measurements up to a tenth of an inch making our product much more accurate than tape measurements. We’re able to get such high accuracy- much more than any of our competitors- because our sensor is much closer to the user's body. Conventional 3D body scanner scan at twice the distance as ShapeScale, leaving for more room for error. We know that accuracy will show you changes even faster, so it’s very important for us to always be improving that and getting you better and better data. All in all, ShapeScale will surpass all common household scales in terms of weight and body fat accuracy. How are you able to capture a full body scan from the bottom ? The scanning mode from the bottom will not provide a full body scan but still sufficient data to track the progress of the main body parts. ShapeScale will have different scanning mode that will provide different data. There will be a a photorealistic full body scan mode where the sensor not only stay at the bottom. This enables people to use ShapeScale everyday in a minimum of time and with the least effort. What role will this visualization play in people’s fitness journeys? We provide an immediate feedback in response to people’s actions that’s currently missing from the process. If you work out and you’re trying to get into better shape, you won’t see the difference until maybe months later. A lot of people can’t wait that long; you want to be able to visually see every couple of days what has changed and know that you’re going in the right direction. Right now, if you want this kind of feedback, you need to take manual measurements that aren’t easy to do yourself. If you work with a personal trainer, you can use a fat caliper and take pretty accurate measurements, but you need to be trained to do it. So being able to show these changes faster and easier has a tremendous effect- we’ll create this habit where people are coming back for this information every day. They just want to see proof that something’s changing. Can you tell us more about the fitness advice the ShapeScale app will provide? It really depends on what your goal is. If you want to work on specific muscles, you really have to target those muscles, and if you want to tone them or grow them, then you’ll need to use a different type of exercise. We haven’t currently built this system because we’ve been focused on working on the scale itself right now. But, we run a program right now that trains people to reach their specific goal, and have trained hundreds of people. Martin is currently undergoing a certification as certified sports nutritionist and trainer and gaining the knowledge that will support this system. Where are you in terms of developing the product, and what kind of additional pieces need to be built out? We’re on our fifth prototype at the moment, where we can take a full body scan with accuracy. Right now, it’s more about finishing the form factor for what the final product will look like. We’re finalizing that now, and within the next couple weeks we’ll have the actual “works-like” ”looks-like” prototype ready to shoot for our promo video to launch our pre-order campaign. In consumer electronics it is important to reach economies of scale to offset a product's high fixed costs. For us it is crucial to reach a sufficient number of sales in the low thousands to finance the first order of ShapeScale.In order to reach that number our team has to put together a great product launch that is attractive enough for prospective buyers to pre-order a ShapeScale. We have sold dozens of products before and it's never easy to pre-sell a product before it's on the shelf. However, we believe that thanks to our experience, strong partners and a compelling product visions we will be able to overcome this challenge. What are the technical risks that you still need to figure out? The highest risk is still on the manufacturing side. It is our priority to be able to build a product , ship it and get it delivered to the user, and then meet their expectations. There are still definitely some challenges on the software side. But for these, we can iterate quickly, so we can progressively improve on the software experience. The first risk is really delivering a product that delivers on the expectations. What are the specific hardware-related risks? We’re currently working on the “looks like” side of the design, and the major piece of that right now is this extending mechanical arm. The durability of the materials used for that mechanical arm will definitely require some extensive testing, so that’s one risk. We haven’t done all the testing we’ll need to get to our final 100% comfort level. We want to the craft tens of these final prototypes and actually test them before we can finalize the DFMA, we want to know what variables we need to be really careful with during manufacturing. The other risks are the common risks associated with the manufacturing of a consumer product, but we’ve both gone through the process of industrializing a product several times, so we’re aware of the challenges. There are definitely going to be some challenges, but we have contacts with really great contract manufacturers in China. We’ve worked with them in the past, so we know that even if some aspects of the design may have to be adjusted, this is not something that would jeopardize the product. How will you manufacture the product, and what are the risks there? We intend to have the “works-like/ looks-like” tested over the summer within a small pilot. We’ve already started selecting our contract manufacturers, one being the largest digital scale manufacturer in the world. We’ll be going to China after this summer to spend a lot of time close to the factory and work with our manufacturers on the DFMA. We’ve done this before, living in Guangzhou and Shenzhen. It still is the best area in the world to take a consumer product from prototype to mass production. What was your “eureka moment” that led you to start working on ShapeScale? ShapeScale was born out of our founding team's frustration of poor feedback by existing methods on what exercises and diets were working and how our appearance is changing over time. Remember those moments when you start to work out, go on a diet and you start to feel healthier and better about yourself, but you just cannot tell whether you have started to look fitter at all? Or just think of all the moments when you look into the mirror and one day you feel attractive and the next day you feel like not even wanting to step outside. It's terrible! Change in body shape and appearance is not solely dependent on losing weight. Body weight fluctuates very easily and lean mass (muscle) weighs more than body fat while taking up the same volume. Often we end up weighing no less, but feel considerably thinner. ShapeScale is there to finally address all these issues by letting you see even the smallest changes in your appearance. See yourself how others see you, with ShapeScale. Why are you the team to do this? Alex works more on the product engineering side, and I [Martin] run the marketing. Alex had the idea of starting to work on ShapeScale, and when he had told me about it I immediately saw the use; I, myself, was struggling with getting into shape during that time. We started working full time on it last year  during summer when we joined Y Combinator in Mountain View. I [Martin Kessler] am the COO of Shape. I’m originally from Germany, but I’ve I've been spending the past 10 years in China, Hong Kong and South Korea. My background is mostly in wholesale distribution and logistics of consumer electronics, hardware startups and digital marketing. Five years ago I started PhoneJoy, which is a game controller that turns your smartphone into a console. We had raised $1 million in seed funding, and I was running Phonejoy for three years as founder and CEO. Eventually though, we didn't quite hit the product market fit and that's why I exited that business and moved on to other work such as CMO of Ambi Labs, which is another IOT startup based in Hong Kong. Ambi Labs has been working on a device called “Ambi Climate” that makes your air conditioner “smart”. I would describe myself as very versatile, my experience lies mostly in operations, sales, online marketing, growth hacking, and Social media and content marketing. My strength is really finding the people who will be attracted to the product and selling to them in a compelling way. I [Alexander Wayenberg] am the CEO. My background is mainly in design and engineering. I studied mechatronic micro engineering and biomedical engineering at the Swiss Federal Institute of Technology. The past 10 years i’ve been working with companies to design and manufacture their product. About 5 ½ years ago, I decided to move to China because it was much closer to where the prototyping and manufacturing was happening. My specialty is IOT products, and I’ve worked designing and engineer dozens at this point. I see design and user experience as being the real backbone and DNA of the company. We want to make a product you’ll love to use every day because it just makes your life better. We’re really taking into account our customers so we can know what they need and what’s going to really help our product sell well. We want to build something meaningful that will make people's life better. We want to help everyone to achieve the body of their dreams. We want to become the leading consumer brand that help you achieve and maintain health goals. It is our mission to make billions of people healthier and happier about their body. As a result our company will take on major health issues such as obesity, diabetes and cardiovascular disease, the world’s number one cause of death. Our cash in hand is $406,467.52, as of December 2017. Over the three months prior, revenues averaged $0/month, cost of goods sold has averaged $0/month, and operational expenses have averaged $97,434.20/month. Given the Company’s limited operating history, the Company cannot reliably estimate how much revenue it will receive in the future if any. Shape Labs Inc. was incorporated in the State of Delaware in May 2015. - Attracted press coverage at several media outlets including Men's Fitness, CNET, VentureBeat, The Verge, TechCrunch, Engadget, TechHive, MacWorld, DailyMail and many others. Our company was organized in May 2015 and has limited operations upon which prospective investors may base an evaluation of its performance. Assets. As of December 31, 2017, the Company had total assets of $211,534, including $209,365 in cash. As of December 31, 2016, the Company had $482,841.61 in total assets, including $406,467.52 in cash. Net Loss. The Company has had net losses of $195,637 and net losses of $830,116.81 for the fiscal years ended December 31, 2017 and December 31, 2016, respectively. Liabilities. The Company's liabilities totaled $407,082 for the fiscal year ended December 31, 2017 and $1,927,502.08 for the fiscal year ended December 31, 2016. To-date, the company has been financed with $20,000 in equity and $750,926.03 in SAFEs. Shape Labs Inc. cash in hand is $406,467.52, as of December 2017. Over the last three months, revenues have averaged $0/month, cost of goods sold has averaged $0/month, and operational expenses have averaged $97,434.20/month, for an average burn rate of $97,434.20 per month. Our intent is to become profitable in 2020. Shape officially launched the ShapeScale pre-order in 2017. Whereas payments were only collected partly and full revenue will only be recognized upon shipping, so has the pre-order launch definitely affected our cash inflows and outflows (acquisition costs related to pre-orders). Expenses will continue to grow as the company is growing its team and is moving towards full production of ShapeScale. Revenues will continue to grow, yet slow until the company's begun shipping ShapeScale. To mitigate increasing operating expenses, Shape Labs, Inc. intends to raise further financing in 2018. We’ve done our very best to forecast demand and create a solid production plan. We’ve learned a lot from running previous hardware businesses, but sometimes forecasts don’t always hit the mark. Should we miss projections, and either sell too many ShapeScales or too few, we will have re strategize to cope with changed environment. Since we consider ShapeScale a high quality product, it will be of utmost importance for us that we maintain only the best quality standards even at high production volume. To do so, we will need to be able to keep up with our demand sufficiently. We have a capable team that has worked in China before. However, sometimes components need to be switched and/or parts have to be re-designed during a product’s pre-production phase. This sometimes leads to unexpected changes in production cost. We have budgeted for a buffer and hope to offset some of our production cost with later software revenue. Moreover, component delays and unexpected shortages can occur, which sometimes delay the manufacturing process. Both production delays and higher than expected costs, can however lead to cash shortages for a business such as Shape. There is the risk that a larger competitor such as Fitbit or Apple could step in and take over the market. We strive to go to market as soon as possible, and expand our foothold so that we can establish a presence and build a loyal customer base before anyone else is able to. In order to quickly grow Shape, we need to hire specific talent with a strong cultural fit and skill set. Finding the right people takes time, but with a presence in Silicon Valley, long China experience and being part of the Y Combinator network gives us access to a rich talent pool. We will store some data such as our user’s body shapes on our servers. We will treat this data with utmost priority and care, and adhere to industry standards to safe-guard everything. There is still going to be the risk of a data breach or that prospective customers will be afraid to share their data with us. We will focus on online sales through our website and Amazon first. We will only go retail later in 2017, when we have scaled demand sufficiently. There is of course the risk that our online sales won’t be sufficient to build a company around ShapeScale. Should this be the case, we will need to revise our strategy and explore B2B channels. If ShapeScale ends up becoming popular patent trolls may start to emerge and sue us for damages. We don’t believe this to be a big risk at this stage since we are too small to be interesting for these patent trolls. Also we are building a significant intellectual property portfolio which will help us to defend our innovations. We are not delivering the product that customers expected. Reviewers might give the product poor ratings. Customers might not use the product as much as we are hoping. Since we haven’t shipped our product yet, there will always be the looming risk of not meeting their expectations. We have been running internal pilot programs and will continue to do so. That way we’ll be able to improve the user experience before we ship first units to our customers. $27,142.00 loan repayment to Shareholder: Alexandre Wayenberg when cashflow allows for it. $29,133.49 loan repayment to Shareholder: Martin Kessler when cashflow allows for it. 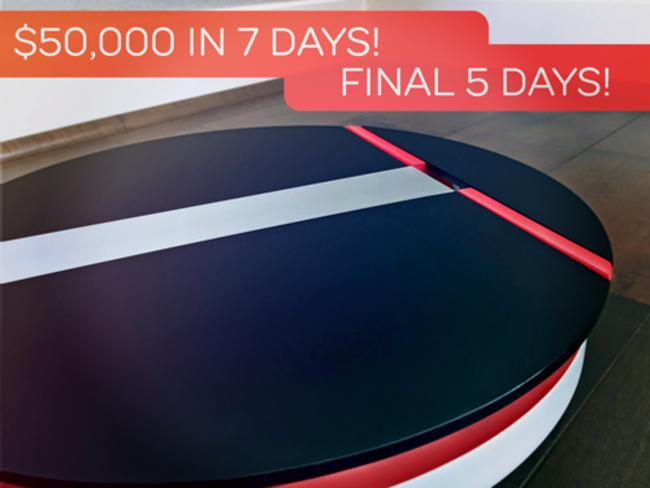 $50,000 We’re 100% focused on product development and a successful product pre-order launch over the next few months. We need at least $50,000 to support our launch campaign. The additional funding will be used for web design, professional product photos, advertising, and more. $500,000 If we raise over $500,000, we’ll be in a good position to expand our product development team with an additional computer vision engineer. $1,000,000 If we raise $1,000,000, we’ll be in a good position to expand our product development team and start to fill additional key hires in crucial areas such as mechanical engineering as well as software and app development. $170K! Closing On Sunday 27, 11:59PM EST. Missed Our Podcast? No Problem. ShapeScale is now Patent Pending! Hi Gents: Love your idea and wish you much success. I think that BMI numbers I've received in the past are close to worthless. This technology can remove the mystery and motivate people to keep going on their exercise regimes. I am not of a social media guy but I am going to promote this. Will help in any way that I can. Good luck! Executive Sales Professional. Started Digital Signage Company with SaaS Model. Successfully exited through acquisition. Currently looking for new adventures. Hi guys. Happy to be an investor. Been an investor in small public companies for 15 years, but really enjoy watching early early stage grow. Hey guys - I love the concept and see all types of applications for this down the road. good luck! I can see primary care doctors making this a staple of visits. I love your idea! Definitely a product I would buy. Can't wait to see this as an everyday reality in many people's lives. I am an Italian professional working in London, I think your product has massive potential. Good Luck! I am very excited to have invested, I see a real need for the scale and anticipate purchasing one for myself. Thanks for the opportunity. Hi, Its Sumit Rathore. I am a technologist with a decade of experience in software development. Looking forward for partnership opportunities with ShapeScale in Indian market. Hello. My name is Gabriel and I'm excited to be investing is shapescale. Approximately when do you think the product will be ready for sale and how much is it likely to cost per unit? Thanks. Best of luck! I'm a Corporate Finance Manager with an MBA and a BS in Physics. I love entrepreneurship, consulting, and investing. This is my first investment of this sort hence the small amount but I would love to provide any advising or consulting services. Best of luck! Hi, my name is Theresa Graves. I am super excited about this product! I think it is ingenious and it is going to explode! I wish I had a Shape Scale right now. I stop working out even though I can 'feel' results. But if I had some way to truly measure those results-I would never stop! I could sell this thing to so many people. Heck, it sells itself-I'm sold. I am a freight Broker/Coordinator who is super excited about building my first portfolio! Hello Alex and Martin. I' m sure your Shapescale demand will hit the sky. To our success!!! I'm originally from Armenia. Physicist by education, married , having two sons. Thanks for vouching for Alexandre! If you'd like to invest in Alexandre, please open an account. We'll waive your fees if you do it now. We asked Alexandre for 10 personal references. Can you vouch for Alexandre?